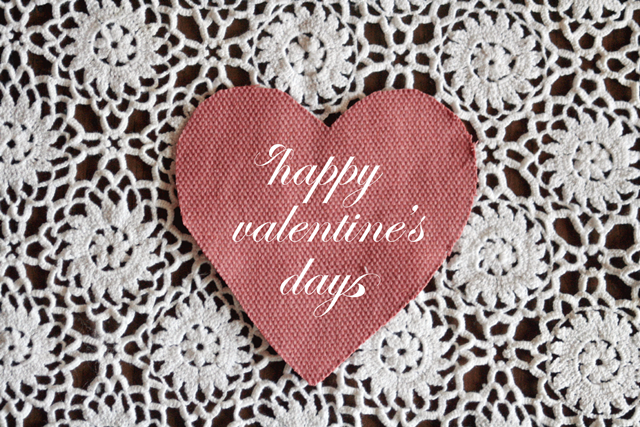 On this special day of love Ms. Jeannie was thinking of her grandmother, Dorothy Ruth, who hand crocheted the tablecloth above that Ms. Jeannie used as a backdrop for her valentine message. Dorothy loved to sew, embroider and crochet. She wasn’t a professional seamstress, although she made a lot of clothes for herself and her family, including wedding dresses for all three of her girls and clothes for her grandchildren. 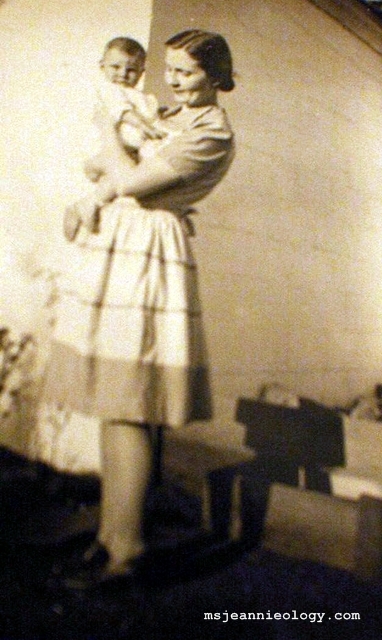 Dorothy with Ms. Jeannie’s mom as a baby. She would never dream of calling herself an artist or a designer, even though she had so many artistic tendencies and talents. She just loved the act of sewing. Dorothy’s husband, Philip, loved to build things, and in his spare time, he would make furniture. When Philip built a table for their living room, Dorothy loved it so much, she didn’t want to get a scratch on it. So she made this very tablecloth to protect the finish. Now when Ms. Jeannie looks at this tablecloth she sees great reminders. 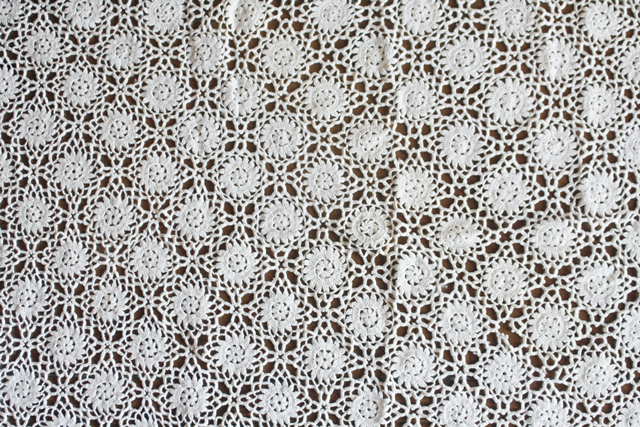 She sees how one stitch leads to a circle, which leads to a flower, which leads to a pattern, which leads to a piece, which eventually leads to an entire tablecloth. She sees how doing things that you love, however small they may seem, can lead to big things. She sees how true happiness can offer protection against the marks and scratches of life. Protect what you make with love. Protect what you love with what you make. That was Dorothy’s way. And in keeping, Ms. Jeannie’s special valentine message for you… May all that you love to do today, inspire and protect all whom will love it tomorrow. Next Storytime (and a Challenge!) with Ms. Jeannie: How Old Photographs Can Spark The Imagination! What a lovely message, Ms. Jeannie!